Last updated 02 April 2019 . By Anisah Audu. Back in October, cocktail connoisseur Ryan Chetiyawardana, aka Mr Lyan, announced that his Thames-side spot would be closing... just days before it was officially named as the World's Best Bar. 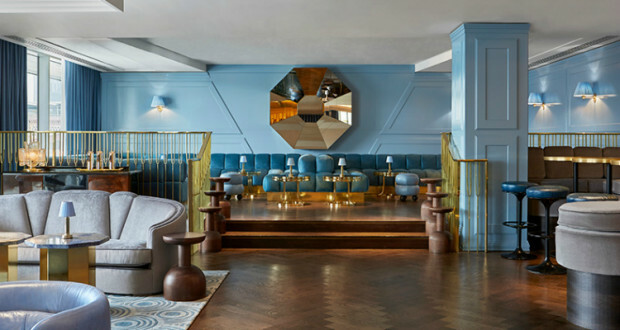 But all is not lost, as the Southbank favourite has relaunched as Lyaness this spring. Expect a brand new concept with completely different interiors and a revamped cocktail menu focussing on 7 key ingredients. The move comes off the back off the Mondrian's takeover, which sees the hotel rebranded as Sea Containers. Mr Lyan has gained a reputation for killing off his bars and reincarnating them as something new; White Lyan is now Super Lyan and Cub. On top of that, the boozy brand is going international, as Super Lyan relocates to Amsterdam and Silver Lyan launches in Washington DC.